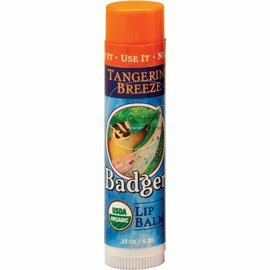 Moisturizing and organic lip balms. Made in New Hampshire. 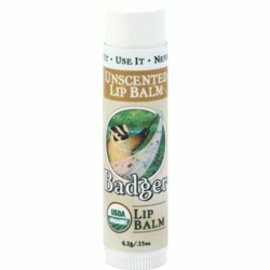 Super-moisturizing, natural & organic lip balms. No petroleum, artificial colors, flavors, or sweeteners. Makes a great gift or stocking stuffer. Take good care of your holiday kissers! 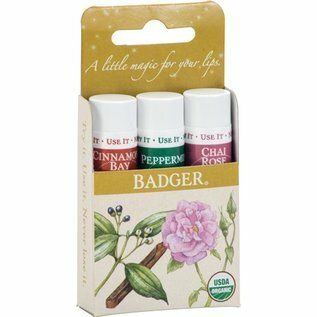 Our gold box holiday lip balm 3-pack features .15oz sticks of back-by-popular-demand Chai Rose, Cinnamon Bay, and Peppermint. Makes a great gift or stocking stuffer for mom, dad, downhill skier, anyone standing under the mistletoe. 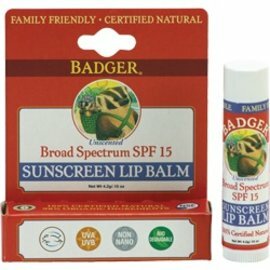 Our Badger certified organic natural lip balms are smooth, glossy, and contain a bounty of antioxidants. No artificial colors, flavors or sweeteners. Just the purest ingredients, including steam distilled essential oils to moisturize your lips and make them feel great! Based in Organic Extra Virgin Olive Oil and Beeswax, these lip balms have a light texture, and boast the antioxidant powers of Seabuckthorn and Rosehips Extracts, as well as Organic Aloe Extract for dry weather soothing.